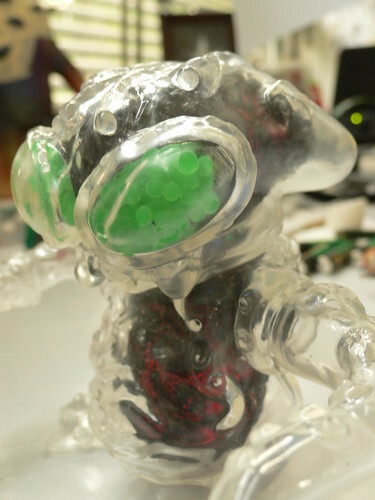 Here is another shot of the clear Blobpus now with his guts stuffed inside the clear vinyl casing. Color will be added to the surface soon. And, as you might have realized, I am redesigning the blog and my portfolio. A shop will be added to the site in the next few days as well.